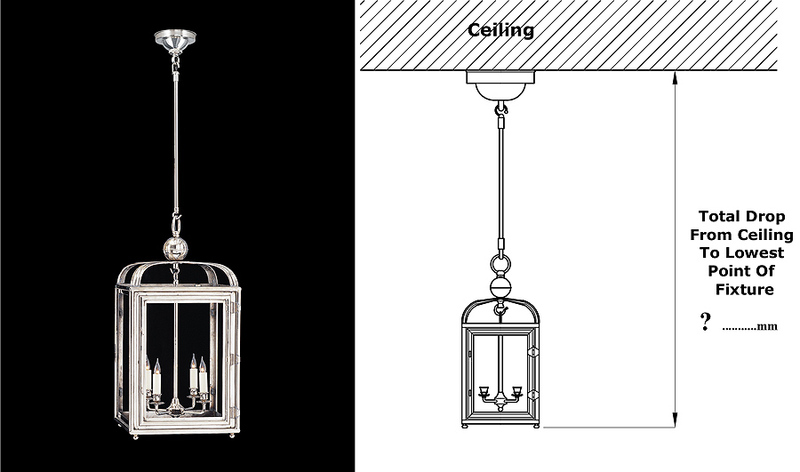 All hanging lanterns, hanging chandeliers and hanging shades are supplied with 1 meter (40”) of size appropriate chain, finished to match the light. Additional chain may be specified at time of order. Chain is adjustable in lenght and can be amended on site. Please note only an additional 1 meter (40”) of flex (electrical cord) longer than the length of chain will be supplied as standard, unless otherwise requested. Should you wish to lengthen the drop of the light beyond the length of flex supplied, you will need to rewire the fixture. 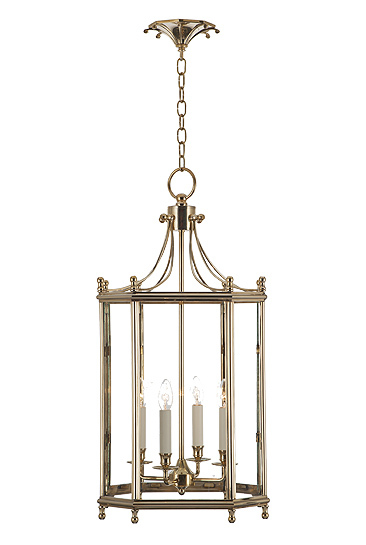 Please note chain is only offered with hanging lights, we do not sell it separately. For exterior lights we offer wind chains. Please visit our Wind Chain Page. 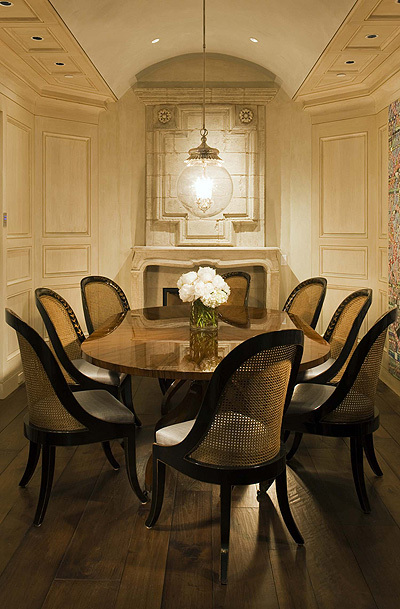 All hanging lanterns and hanging chandeliers can be ordered with straight rod instead of chain. Rod can be finished in any Charles Edwards metal or paint finish. 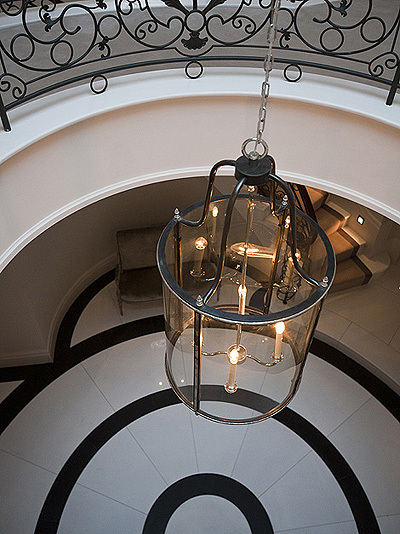 To specify rod for hanging lanterns and chandeliers please state the total drop from the ceiling to the bottom of the fixture required, also stating your chosen ceiling canopy design. The rod supplied will be approppriate for the size and weight of the hanging fixture. Please note in some cases the use of rod will affect the overall weight of the design stated on the website. Owing to shipping standards, rod will be supplied in maximum 2 meter/ 78” lengths, with discreet joins for longer drops, unless specified otherwise. 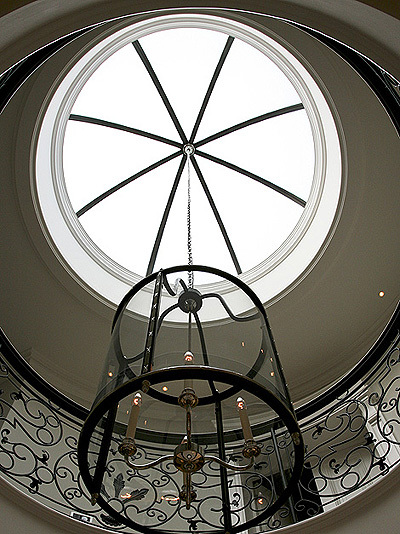 For outside use a fixed rod can be specified with a hanging design to stop movement. Please visit our Fixed Rod & Wind Chains Page. Please note rod is only offered with hanging lights. We do not sell it separately.